Following its ratings success in 2018, broadcast company GMA Network continued to be the viewers’ top choice according to the latest data from the industry’s widely-trusted ratings service provider Nielsen TV Audience Measurement. 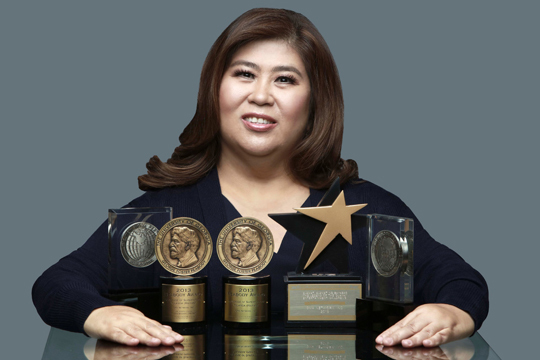 ’Kapuso Mo, Jessica Soho’ remains the most-watched program nationwide according to AGB Nielsen. For the first month of 2019 (with Jan. 27 to 31 based on overnight data), GMA posted an average total day people audience share of 37.8 percent in the National Urban Television Audience Measurement (NUTAM), beating ABS-CBN’s 35.9 percent. The Network registered 34.8 percent people audience share in the morning block, as against competition’s 30.9 percent. GMA similarly won in the afternoon block with 40.1 percent people audience share surpassing the 34.2 percent of its rival network. The Kapuso Network was consistently at the forefront of the ratings game in the viewer-rich areas of Urban Luzon and Mega Manila, which respectively account for 72 and 60 percent of all urban viewers in the country. GMA posted an average total day people audience share of 41.9 percent in Urban Luzon, which was way ahead of ABS-CBN’s 30.1 percent. In Mega Manila, based on official data from Jan. 1 to 26, the Network tallied an even bigger margin with an average total day people audience share of 43.7 percent, versus competition’s 26.8 percent. Kapuso shows likewise ruled in Nielsen’s NUTAM list of top-rating programs for January with Kapuso Mo, Jessica Soho (KMJS) reigning supreme in the highly-coveted number one spot. KMJS was followed by Pepito Manaloto, 24 Oras, Daddy’s Gurl, Magpakailanman, Onanay, Daig Kayo ng Lola Ko, and Studio 7. Included in the list of ratings drivers for the month were Cain at Abel, Amazing Earth, 24 Oras Weekend,Wowowin, Imbestigador, My Golden Life, Eat Bulaga, and Tadhana. GMA likewise took the lion’s share in both Urban Luzon and Mega Manila lists, taking 8 and 9 spots out of the top 10 programs, respectively. Meanwhile, GMA’s free TV airing of Manny Pacquiao’s fight against Adrien Broner last January 20 clearly dominated competition. GMA garnered a whopping 69.8 percent people audience share in NUTAM while its counterpart programs in ABS-CBN only got 13.2 percent. TV-5, which also aired the Pacquiao fight, only managed to get 10.7 percent. Nielsen TV Audience Measurement’s client pool covers a total of 32 clients/subscribers consisting of 6 local TV networks including ABS-CBN, TV5, Aksyon TV and CNN Philippines, among others; 3 regional clients; 2 blocktimers; and 21 agencies (17 media agencies, 3 consulting agencies, and 1 digital agency).